Bamenda - Northwest governor Adolphe Lele Lafrique has said the curfew imposed by government between 6pm and 6am from Sunday will remain effective till further notice. 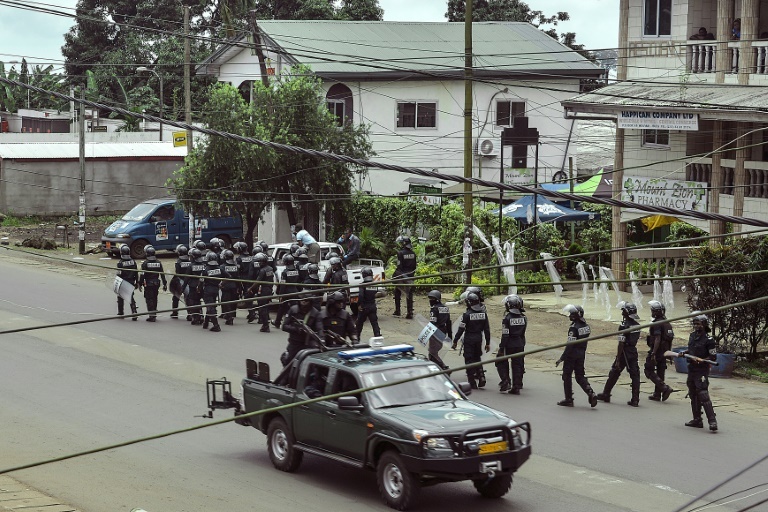 Part of the English-speaking Cameroon has been locked-down as government imposed an indefinite dusk to dawn curfew following activities of separatists. The curfew was imposed on the Northwest Cameroon after armed separatists attacked buses and blocked access into the regional capital, Bamenda late on Saturday. “During the said period, movements of vehicles, persons and goods shall be strictly forbidden. All off licences, snack bars and night clubs shall remain closed….and night travel suspended,” the governor’s order reads. The restriction that exempts administrative authorities, law and order agencies, persons and vehicles in possession of special authorisations and ambulances, came a day after armed separatists attacked buses and passengers and obstructed movement into and out of Bamenda. Over 20 70-seat passenger buses were blocked at Akum on the outskirts of Bamenda Sunday morning, with some partially damaged. A trader, Gideon Fai, who was traveling to Douala, recounted on phone that gunmen stopped and ordered them out of their bus, then forced them to tear off the Cameroon flag from their national identity cards. The men had dug a trench across the road with the help of an excavator from a road construction company. They later set the excavator ablaze. Separatist groups claimed responsibility for the attack on social media, saying it was part of a plan to stop military reinforcement from other regions and also to disrupt the presidential election scheduled for October 7. The Anglophone separatist activists who have been clamouring for secession and the creation of the Republic of Ambazonia, have warned that they would not allow any election organised by the Yaoundé regime to take place in “their country”. They have also warned that no buses would be allowed into or out of the English-speaking northwest and southwest regions after September 15. The almost two-year long violence that has gripped the English-speaking regions started as an industrial strike by lawyers and teachers, but escalated into an internal armed conflict with fears the Central African country could slide into a civil war if the violence persists. Violence and unrest escalated in late 2016 after a series of strikes and protests against what teachers, lawyers and students viewed as further discrimination against Anglophones. Between September 22 and October 1, 2017, large-scale protests were organised across the Anglophone regions to symbolically proclaim the independence of a new state of Ambazonia, but the government responded with violent repression. Recurrent confrontations between armed separatists and government troops have led to the killing of dozens of people, hundreds others imprisoned while thousands have been forced out of their homes.